For many years now the Islamic Republic of Afghanistan has been the hotbed of instability in the entire Central Asia. A substantial portion of the country is controlled by terrorist groups, which continue on their path of destruction not only through Afghanistan but also beyond by exporting drugs and supporting terrorist networks in other countries. It is worth mentioning that the situation in Afghanistan is a cause of discontent among neighboring nations not only because Afghanistan has become the breeding ground of international terrorism and drug trafficking, but also because the country had been an important transportation hub in Asia since ancient times. Within its borders trade routes linking South Asia, Central Asia, China and the Middle East used to cross. After the period of unrest had begun in Afghanistan, many nations lost access to their usual transportation routes, which led to substantial financial losses and a decrease in regional trade. At present, Asia especially needs a peaceful and stable Afghanistan due to the current boom period experienced by South and South East Asian countries in terms of their demographics and economies. These regions are in dire need of imported hydrocarbon-based fuels. At the same time, Central Asian nations rich in fossil fuels do not have enough gas and oil buyers, because of their isolated location (for instance, Turkmenistan is forced to sell almost all of its gas for export to China for an uncompetitive price because it lacks opportunities to supply other buyers). Supplying South and South East Asia with fossil fuels from Central Asia is the most profitable option for all three regions, but this trade has to happen through Afghanistan. As the unfortunate US experience over the last 17 years has shown, resolving the Afghan problem by purely military means is not possible. Integrated measures have to be adopted and include comprehensive socioeconomic development of Afghanistan. In order to tone down the extremist mood in the country and ensure many people abandon their illegal military units, the nation has to firmly embark on a path of sustained economic growth and development. However, the West, having taken responsibility over the fate of Afghanistan in their hands, has failed to fully address this issue, preferring instead to increasing their military presence in the country. Still, the international community is involved in Afghanistan’s economic development. Special roles in this process are reserved for its nearest neighbors, Pakistan, the Central Asian nations and India. 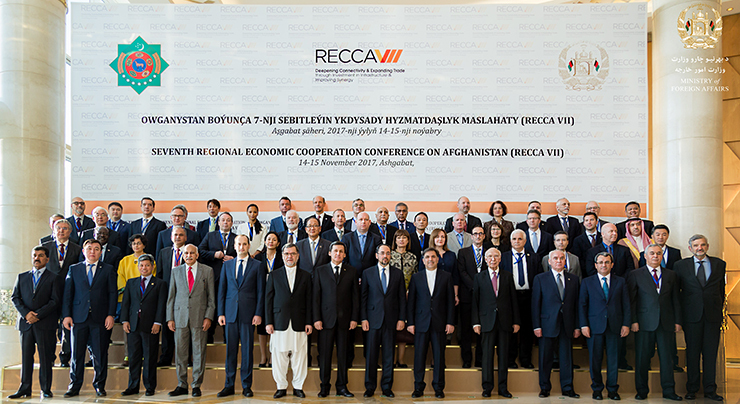 Among the initiatives aimed at stabilizing the situation in Afghanistan, the Regional Economic Cooperation Conference on Afghanistan (widely known as RECCA) is worth mentioning. The main goal of the Conference is to discuss various projects that contribute towards socioeconomic development of Afghanistan and reduce the threat of terrorism and drug trafficking in the area. RECCA took place for the first time in Afghanistan’s capital, Kabul, in 2005. 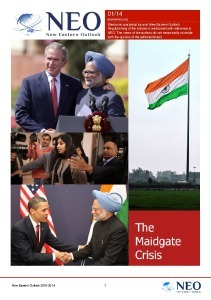 Since then, the Conference has been held in New Delhi, Istanbul and Dushanbe. The event has seen the conception of a number of economic, transportation and power projects aimed at promoting and strengthening the ties between Afghanistan and the regional nations. The last Conference (RECCA VII) took place in the capital of Turkmenistan, Ashgabat, in November 2017. Representatives from political and business circles of 67 nations and international organizations participated in the event. High-ranking officials, such as the Vice President of Afghanistan Sarwar Danish, the Minister of Foreign Affairs of Afghanistan Salahuddin Rabbani, the Minister of Foreign Affairs Raşit Meredow and many others, attended the event. The Conference included an exhibition of goods from Afghanistan and neighboring countries aimed at attracting mutual investments. Working groups meetings on issues as diverse as the energy industry and natural resources, regional ties, trade, developing entrepreneurial activities and labor protection were held. Special attention was focused on large-scale international transportation and energy-related projects that can be implemented in Afghan and Central Asian territories. The highlight of RECCA VII became the ceremony dedicated to the signing of the Agreement on the Lapis Lazuli Corridor (LLC). LLC is a multimodal transport route connecting Afghanistan, Turkmenistan, Azerbaijan, Georgia and Turkey. It encompasses railways and roads, as well as part of the sea route via the Caspian Sea. The route starts in Afghanistan and ends on the coast of the Bosporus strait, in Istanbul, the largest port in Turkey. The sea route to Europe is then open to goods and passengers from member nations of the project. In the opinion of RECCA participants, the signing of the Agreement on LLC was a momentous occasion, and a worthy culmination of a long-term collaboration and proof of its fruitfulness. It is noteworthy that this transport corridor can actually promote the growth in regional trade and improve the economic situation in Afghanistan. Another transportation project that harmoniously complements the LLC initiative and has been discussed during the latest and previous RECCA events is the Chinese One Belt, One Road initiative (OBOR), which Afghanistan and its neighbors will also participate in. It has been reported that China had promised to invest 100 billion US dollars into establishing transport corridors in Central Asia. One of the most important sub-projects within OBOR is a railway that links China and Afghanistan via Kazakhstan and Uzbekistan, which became operational in 2016. For now the amount of traffic along this route cannot be labelled as heavy, but all the project participants are keen on increasing mutual trade volumes and the use of this route may increase substantially in the nearest future. Once the LLC becomes operational, it may become an integral part of OBOR, and Afghanistan could receive additional profit from goods transiting through it en route from China to the Bosporus strait. It is also worth mentioning the energy-related projects that RECCA participants have long been working on, such as TAPI and CASA-1000. TAPI (Turkmenistan – Afghanistan – Pakistan – India) is a 1,800-km long gas pipeline that will supply natural gas from rich gas fields in Turkmenistan to Afghanistan, Pakistan and India. 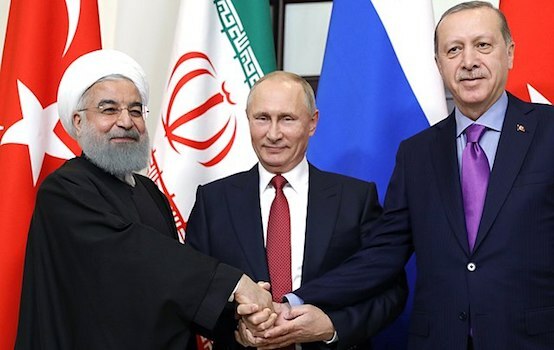 There have been reports that the Turkmen part of the pipeline had already been completed. In February 2018, a formal ceremony to mark the start of construction of the Afghan pipeline part was held. Full-scale operation of TAPI is expected by 2020. CASA-1000 is a power project meant to connect energy-generating industries of Kyrgyzstan, Tajikistan, Afghanistan, Pakistan and India. Its successful implementation will mean that these nations will be able to sell surplus energy to each other, thus jointly compensating for insufficient power generation and promoting economical use of natural resources. At present, RECCA participants are continuing their joint efforts by holding meetings at various levels. Negotiations are currently ongoing on the timeframe and location of the eighth Conference, RECCA VIII. RECCA is not the only initiative that enables various nations and international organizations to collaborate on issues connected to a peaceful resolution of the situation in Afghanistan. But still, the Conference is a notable example of how joint efforts by Asian nations are gradually bringing peace to life in Afghanistan.